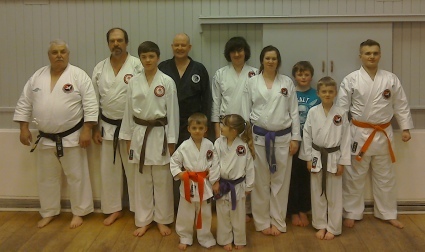 A Club Grading took place at Norton Hill School on 28 March 2015. 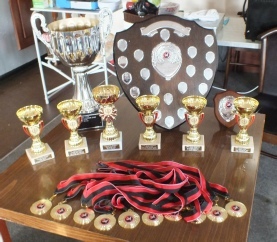 The Third Alan Yates Memorial Trophy Night was held at Pratten Sports and Social Club on Saturday 4th July 2015. The club honoured Alan this year by holding a hog roast in his memory. 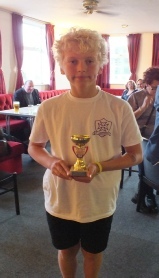 All his family were invited to the third special presentation evening, and Alan's parents were presented with a glass tear drop trophy with a letter from heaven which read. 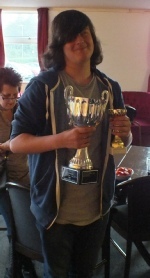 to this year’s winner Zack Bartlett. 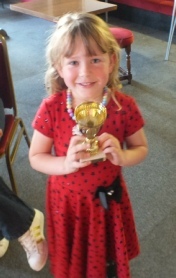 The final award of the evening was the Sensei Wayne Cup which went to Purdy Annabelle Junge for outstanding effort. All the members and family had a very good evening. 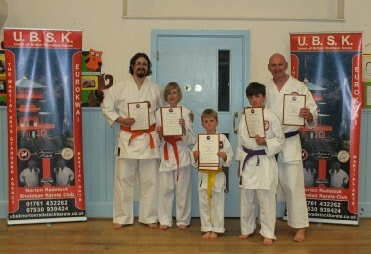 A club grading took place at Norton Hill School on the 26th March 2016. Congratulations go to all the students who successfully passed their grading. 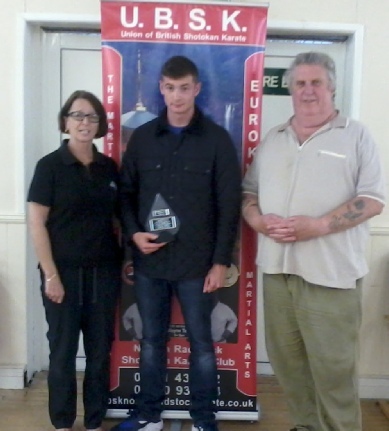 A club grading took place at Norton Hill School on the 9th July 2016. Congratulations go to all the students who successfully passed their grading. The next Grading is 1st October 2016. 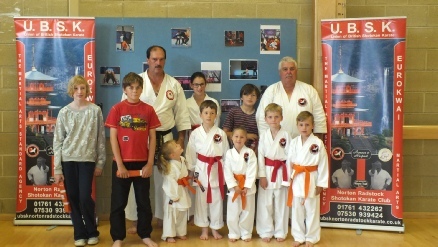 A club grading took place at Norton Hill School on the 10th December 2016. Congratulations go to Mrs Marie Jane Woolf who successfully passed her 1st Dan black belt grading on 2 August 2016. 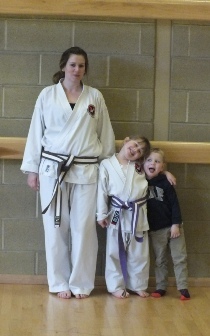 Marie Jane trained from 1983 to 1992 under Sensei Wayne Teall at what was then known as Midsomer Norton Karate Club, the oldest and longest running Karate Club in Somerset at that time. 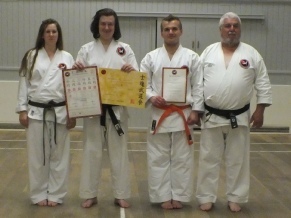 Sensei Wayne Teall 6th Dan U.B.S.K., 5th Dan Shi-Kon, 4th Dan J.K.A. travelled to Bergerac in France to conduct Marie Jane’s Dan grading. Mrs Woolf tried unsuccessfully for black belt under Sensei Keinosuke Enoeda in 1992 following which she decided to call it a day with Karate and concentrate her efforts on her education, which proved very successful with her endeavours leading to her running her own business. 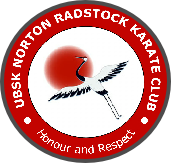 Marie Jane Woolf contacted Sensei Teall a year ago about the Karate work shop as advertised on the UBSK Norton Radstock Shotokan Karate Club website and wondered would he take up the challenge, which naturally he did. Marie Jane worked hard on all the techniques of karate with the aid of ‘Vol1 My Way in Karate, by Sensei Teall, as well as building up her Kata, and her Kumite which had always been and remained very good. Sensei Teall conducted training sessions for 2 hours a day in Bergerac, building up to Marie Jane successfully undertaking and passing her black belt grading. 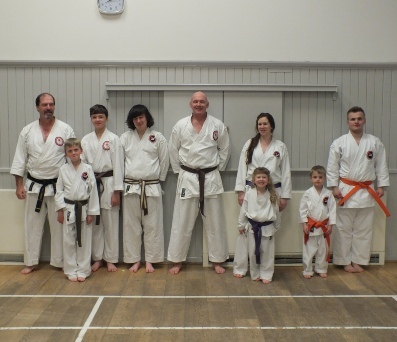 If there is any one out there that was unsuccessful in achieving their Karate Dan grade black belt and would like to try the workshop please feel free to contact Sensei Teall. 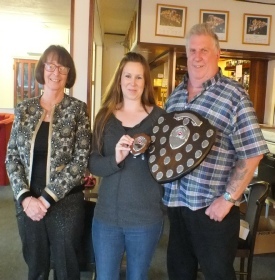 The fourth Alan Yates Memorial Trophy Night was held at Pratten Sports and Social Club on Saturday 9 July 2016. The Club honoured Alan this year by holding a curry night. In his memory all of Alan’s family were invited. Everyone had an excellent evening which was a resounding success with over 50 members and family attending. 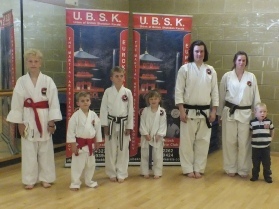 Congratulations to all the students who successfully passed their kyu gradings on 24 June 2017. 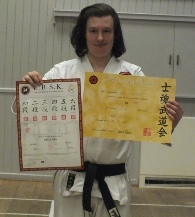 Special congratulations go to Zack Bartlett who after an intensive 3 hours of basics, kata, and kumite successfully passed his Shodan 1st Dan black belt. The next grading on 23 September 2017.